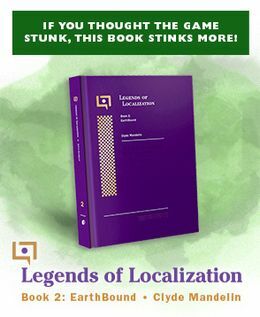 I’ve been slowly updating my Legends of Localization site lately, and it’s time to get back into the swing of the MOTHER 3 translation notes too! Before I start major work on each section, I’ll probably ask fans what questions they might have for the next part of the game, that way I can be sure to cover the topics people might want to know about. I’m basically breaking the game up into the same sections that this walkthrough uses, so the current section I’m working on starts where everyone goes to the inn after saving Lighter, all the way up to Flint getting knocked out after freaking out by the campfire. So if you have any questions you’ve wanted to ask about this specific part of the game, let me know in the comments and I’ll try to get to them in the translation notes! If you have questions about other parts of the game, hold off until we get that far in the translation notes. It takes me a lot of time to put these pages together, so it’ll be a long while until the update is actually ready. I want to make sure it’s worth the wait, though, so share your questions if you have any! Are there going to be any changes to the dialogue that you have planned for this part of the game like you had for various points in your EB”0″ translations? If so, think you could post them on the site? I’m not sure I understand – could you go into more detail? I didn’t do any EB0 translations, so I’m confused. Sorry, I meant Phil Sandhop’s. The one you gave us a chart of differences under the article “Some Mother 1 and EarthBound Zero Text Differences”. Like the Ana line that made you feel like you were worth something. Any planned? I don’t think there’ll be anything as drastic as those, if anything does turn up I’ll post them on the LoL site and then make an update here pointing to it, though. This is great Mato, thanks a lot, really interesting to see all the translation choices you made and explanations! Ahhhh I’m super excited to read these! I’m really fascinated by all the little nuances and decisions that got made for the patch. I have to admit I’m really curious about if there’s anything odd or unusual about Duster’s speech patterns or word/pronoun choice or anything, though I’m guessing probably not, haha. I’m also sort of curious about how he and Wess talk to each other, but I guess that’d come up more in Chapter 2. That very picture inspires a question… I can see the Japanese version uses the numeral 5, but your translation uses the word five. Is there any particular reason why you did that? And is the translation consistent about this? Anonymous – It’d be awkward and cumbersome to spell out Japanese numbers, especially since the Mother games forgo using kanji. With the exception of books for preschoolers, it’s very rare (in my experience) that you ever see a number written out in kana, unless it’s a part of a word (一緒, いっしょ, 一般, いっぱん, 二股, ふたまた, etc.). In English, standard/correct procedure is that you should spell out single-digit (0-9) numbers and then use numerals from there (10~). Even higher is fine, I’d say. It looks more professional to write it out here, don’t you think? In my personal opinion, I think it looks fine to spell out numerals up until twenty. when you have to start putting dashes from twenty-one upwards, then maybe using numerals looks less awkward. And as for Japanese, I think it’d just be weird seeing ごふん　as opposed to 5ふん. It’s all just the conventions used by each language. there’s nothing inaccurate about the translation. Whatever happened to the next version of the M3 patch? @Banana Kid Nintendo/Itoi announced “Mother” developments and Mr. Mato didn’t want to hurt the chances of an official “Mother 3” release in the U.S. The question is floating around so I guess he’s waiting to see what happens. This is exciting to hear. I’m sure this will result in hours of interesting reading. Good luck Tomato. The only question I can think of off-hand is related to your use of “PSI” in a specific spoken dialogue text instead of “PK”. I can’t remember in which part of the game the comment occurs, though. 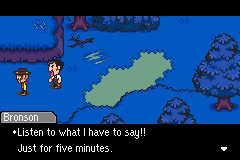 I’ll have to see if I can’t find time for a Mother 3 play sometime soon. I’ve always found the “PK vs PSI” topic to be fascinating (I suggested an article about it once and I quite enjoyed the resulting piece). I’ve also wondered about the new Mother 3 patch. With all the EB craziness going on right now, I don’t blame Mato one bit for continuing to hold off. I’m sure he’ll make an announcement when needed. My first time using this site on my iPhone. I’m really creeped out, because my username was already there when I s rolled down here. I’m scared. Forgetting about that for a second, though, one thing I noticed about this is that for a very VERY short while, you get both Boney and Duster in your party. I like to take the time to level grind them both to level 15 on the moles playing rough in the cave while I can. Gets me a good head start on the next chapter and makes the reconstructed caribou fight easier! Especially when playing Hard Mode. Those are my only thoughts on this part, though.